Association of Southeast Asian Nations (ASEAN comprises of 10 countries, with a population of over 625 million, and a combined nominal gross domestic product (GDP) of over US $2.8 trillion. If counted as a single entity, it would rank sixth in the world, making ASEAN a very attractive market. To facilitate regional business and leverage on the strengths of individual country chambers / councils, Dutch Chambers in the Southeast Asian region committed to collaboration under the title of The ASEAN Dutch Chamber Network. ASEAN Dutch Chamber Network consists of six Dutch Chambers of Commerce (Indonesia, Malaysia, Philippines, Singapore, Thailand, and Vietnam) and represent a diverse range of Dutch Business, cutting across almost every commercial sphere from manufacturing and financial services, to Fast Moving Consumer Goods (FMCG) and high-end electronics and communications. ASEAN Dutch Chamber Network is helping to do this by developing common exposure and providing increased opportunities for respective members to attend events from Dutch colleague chambers that could especially be of interest for many regional representatives here in ASEAN. 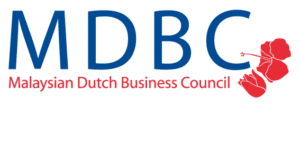 MDBC facilitates bilateral trade between Malaysia and The Netherlands by serving as a link for their members to Business Associations, Chambers of Commerce, and various government institutions. MDBC provides their members and newcomers to the Malaysian market with the information on issues related to setting up a company or a representative office in Malaysia. 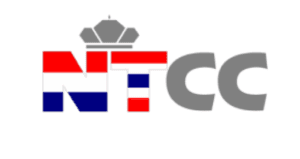 The objective of the NTCC is to provide information and services concerning trade, commerce, industry, finance, and investment in Thailand as well as the Netherlands. NTCC proudly represents members ranging from startups and SME’s to global market leader multinationals. A growing, dynamic organization and one of the largest Dutch Chambers within the region. DBAV promotes strong business relationships between the Dutch and Vietnamese business communities through events and collaboration in Vietnam. 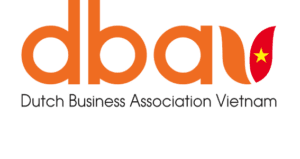 DBAV raises awareness and provides support for the growing Dutch business community in Vietnam. DBAV Has close links with the Netherlands Embassy in Hanoi and the Consulate General of the Netherlands in Ho Chi Minh City. The DBN a network of entrepreneurs and professionals offers their members a platform to share knowledge and experiences in doing business in Asia. Their mission is to inspire people through company visits; to encourage personal development through discussions and workshops and to facilitate match making through networking events. 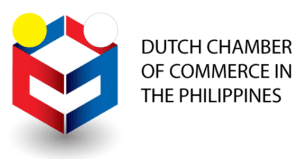 The Dutch Chamber of Commerce in the Philippines Inc. (DCCP) was established as the successor of the Philippines Netherlands Business Council (PNBC) in 2018. DCCP is a member-driven organization established to serve as an official gateway to, a platform for and the voice of the Philippines-Netherlands business community. The DCCP promotes Philippines-Netherlands ties, establishes connections, identifies opportunities, fosters friendship and assists in growth.